Just because you know something is coming doesn’t make it hurt any less when it actually arrives. 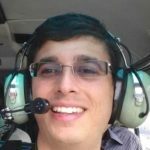 We have known for nearly a year that British Airways has been planning to densify select Boeing 777 aircraft, and last week the airline loaded into its schedule the first batch of flights featuring the new space efficient 3-4-3 layout, becoming the latest airline to move to the high-density layout. The 777s receiving the densification work are based at London Gatwick, the airline’s leisure destination hub. Flights with the new configuration begin on 7 May 2018, primarily on routes to Florida and the Caribbean, with the once-daily service to New York’s JFK Airport starting in July. It’s not all bad news, however. While the World Traveler cabin may be going from 9- to 10-abreast, the aircraft should be receiving a much needed interior overhaul, seeing a new inflight entertainment system installed and electronic device charging capabilities added. At the same time, however, BA has been under fire from passengers who believe its overall service is on the decline internationally and on short-haul. To wit, in January the carrier changed its onboard product to a chargeable model – effectively going full Ryanair with a buy-on-board program. Notes BA frequent flyer Stefan Paetow, “I fly with British Airways for a simple reason: generally excellent customer service on board and generally a good onboard product (for economy). This change stresses out the cabin crews who are already under pressure to get everything done as quickly as possible; it stresses out the passengers (who want something to drink and have to wait for 100 others ahead of them to make their choices and pay for them), and this quite frankly stresses the relationship the airline has with its passengers. In a rather surprising move, Ethiopian Airlines has begun a $6 million project to completely modernize the cabins of its aging Boeing 767-300ER fleet. 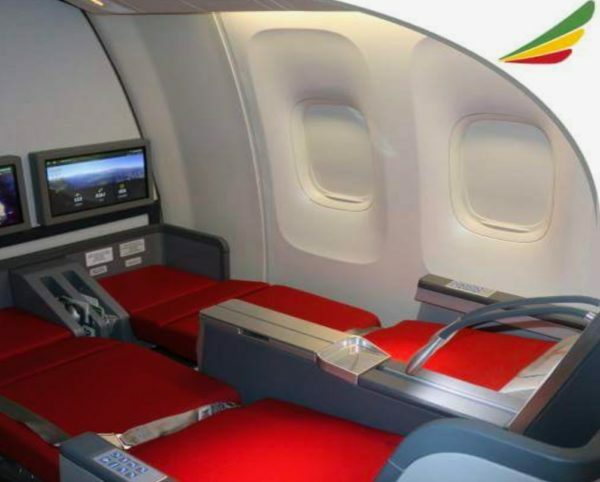 In Cloud Nine class, Ethiopian has removed its extremely dated cradle recliner seats and installed fully-flat bed seats in a 2-2-2 configuration. The airline has also installed new 17-inch entertainment screens, along with AC and USB charging ports. The economy cabin also saw a refresh, gaining new seats, streaming entertainment, and a mix of AC power or USB power, depending on the specific row. As American Airlines takes delivery of its new 737 MAX 8 aircraft, it will also take delivery of its first aircraft equipped with ViaSat high-speed wifi (note the signature satellite connectivity radome atop the fuselage). Last weekend, American scheduled the first routes for the new MAX, operating between Miami and New York’s LaGuardia Airport starting 29 November. The MAX will be equipped with ViaSat’s Gen-2 hardware from day one of operations, although the new ViaSat-2 satellite will not be ready for service just yet, instead relying on the existing ViaSat-1 satellite. The addition of ViaSat service at American further fragments the airline’s wifi offering, which includes Gogo ATG, ATG-4 and 2Ku, as well as Panasonic Ku, and now ViaSat Ka. If nothing else, American will be among the most knowledgeable carriers in the world about connectivity options on offer, and how they perform. Pricing for American’s ViaSat service has not yet been announced, but it is possible the airline might opt for a tiered plan similar to one Delta recently adopted for 2Ku.